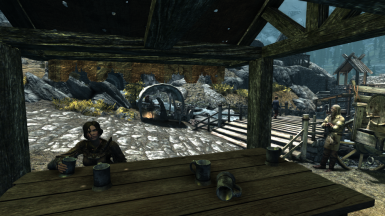 The entrance to Whiterun looking dead and empty? 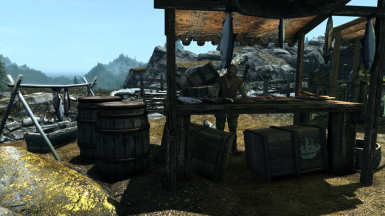 Whiterun not looking to be the trading hub everyone calls it? 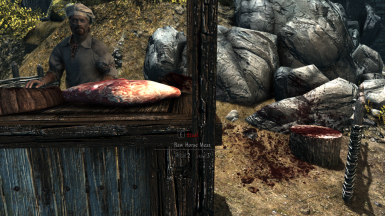 Then this mod is exactly what you are looking for. Do not upload this unto the steam workshop. I have expressed my desire to share the work with anyone willing and able so please do not do it on your own and claim it as yours. Check out the video section for a mod review by ArsenalRobert and also an awesome video by Johanwh showing the difference with and without the mod. 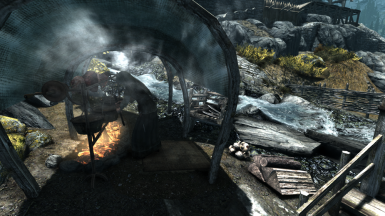 I disabled the cooking spit for the food merchant and inn for immersion, so you actually buy food from her. 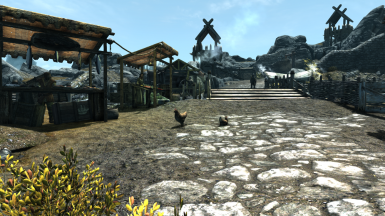 This mod adds alot of objects and visuals to the outskirts of Whiterun, it is adviseable to have a mid-high range pc to run it without any lag. Optionally you can download and install one of the older versions which is more stable but has less content, version 0.3.7 and 0.4 seem to be good options. So if you have any lag or problems try one of those versions, I don't have any beta testers so I always ask for feedback from the community. Don't be afraid to report a bug you find, but also remember we do this voluntarily. 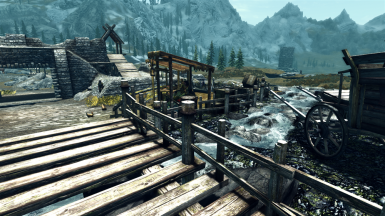 Big kudos to Varakz for helping to edit and clean the mod!! 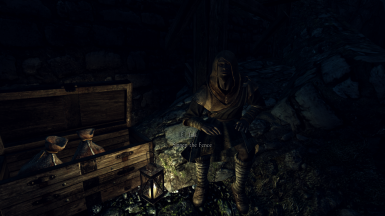 File is larger because I have included the faceGen data with the mod, so NPCs have proper face textures. 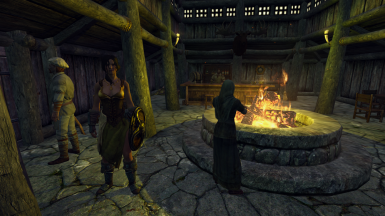 3 new NPCs. Warehouse master, worker & guard. Alot of landscaping done to the warehouse location. Interior lighting done for the custom houses & set ownership on items. 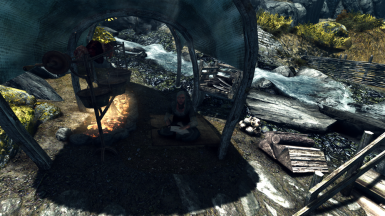 Cleaned up the mod quite alot, so it should't be affecting things its not supposed to. 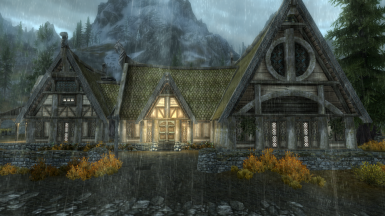 Added buildings from 7k whiterun to use as NPC homes. changed 1 custom light to default color, checked through all lights my mod affects and made sure they were at default value, I hope I didnt miss anything cuz the list was long. 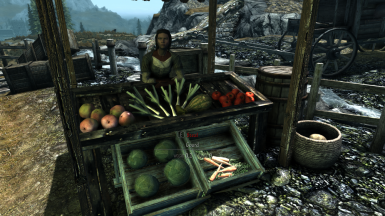 Added 2 new NPCs that move around the market. 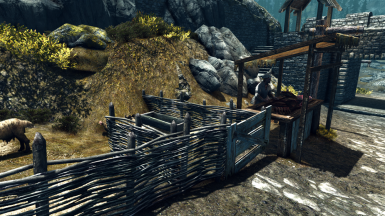 Added sleeping area for beggar and new shack for NPC. Did a fix for the disappearing inn, hopefully that gets it done. 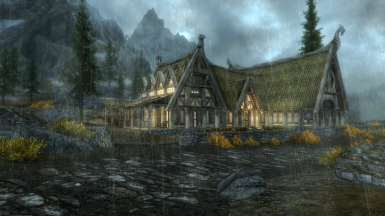 As there are so many mods that improved the interior of the cities I thought to create one to improve the exterior. 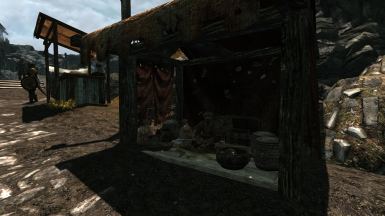 Whiterun is supposed to be a trading hub and that is what I am intending to create. 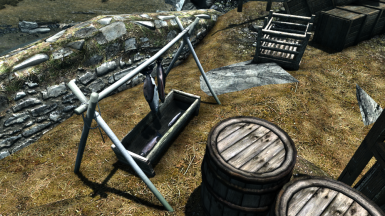 It contains a few well placed stalls with NPC merchants and an inn on the main road outside skyrim. For immersion the "gate" merchants only sell common things as they are just road side hawkers. It also allows the in-city sellers to continue being useful. 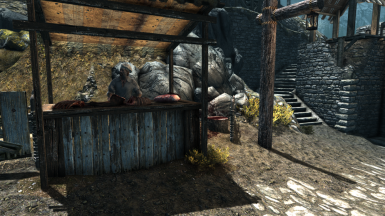 The drinks merchant does not usually sell in the day time,this is on purpose as I thought it more realistic for him to sell late into the night(3am) rather than early in the day. The food seller also works till about 12 midnight as well. 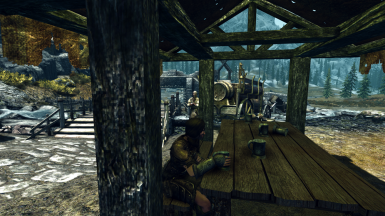 I also use Cozier Villages mod which adds lantern posts all around the cities in Skyrim although I have modified my copy of the mod for personal use. 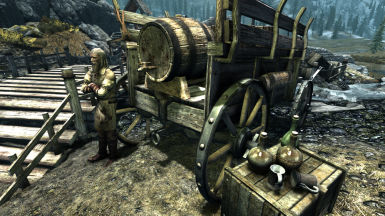 This mod does not interfere with the travelling Khajit caravan outside Whiterun. than happy to share the burden. 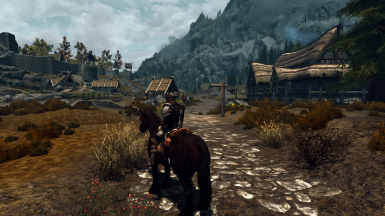 this mod will affect the game as I have not reached that part. 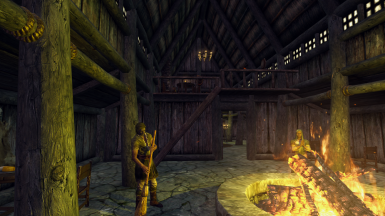 Sometimes when approaching the inn it will disappear, this is a known bug with the ck and not the mod. 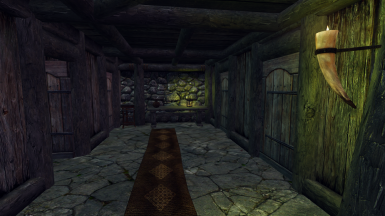 The door will still be visible and if you go in and out the inn should be visible again.